Lisa and Lori Brigantino are real life sisters who play Vickie and Nickie – the multi instrumental, singing sister duo straight from the hills of northern Minnesota! Suburban housewives with ten kids between the two of them, Vickie and Nickie got their start singing in church and the local nursing home as youngsters and moved on up to charity balls and the prison circuit as they got older. One day, during a performance at the Minnesota State Correctional Facility, an inmate said to them “Hey, you gals should take that show on the road…” and they thought, “Yah, why not?? !” Well, the sisters never looked back and lo and behold, when they can manage to get away from their identical twin husbands, Ronnie and Donnie, and their kids, Vickie and Nickie grace prisons, hospitals, and other illustrious stages all over the great US of A.
Vickie and Nickie love all kinds of music and have a fun, engaging repertoire running the gamut from pop, rock and country to soul, rap and funk to name a few. The musical Minnesota moms entertain with humorous banter, wacky original tunes, hilarious pop song interpretations, improv and audience participation all while accompanying themselves on many different instruments including acoustic and electric guitars, keyboard, accordion, saxophone, clarinet, violin, ukuleles, percussion and more. Lisa and Lori were last seen live as Vickie & Nickie in their holiday show Vickie & Nickie’s Holiday Sleigh Ride at The Duplex, NYC in December 2018, 2017 and 2016 and Don’t Tell Mama in December 2015 and 2014. Prior to that, they performed their holiday show Vickie & Nickie’s Jingle Bell Jamboree at The Cutting Room in 2012. They appeared on the main stage at Dixon Place in June 2012 with their show, Inside Vickie & Nickie, and in December 2011 with a successful premier of their holiday show, Vickie & Nickie’s Holiday Sleigh Ride. They have written and performed ten full Vickie & Nickie shows to date including: Inside Vickie & Nickie at the Foothills Performing Arts Center in Oneonta, NY where they also brought their two set show Vickie & Nickie’s Sizzlin’ Summer Spectacular and The Best of Vickie & Nickie, ‘Tis The Season With Vickie & Nickie which played to sold out houses at Don’t Tell Mama, and The Vickie & Nickie Dream Tour which had very successful runs in NYC at Upstairs at Rose’s Turn and The Duplex. 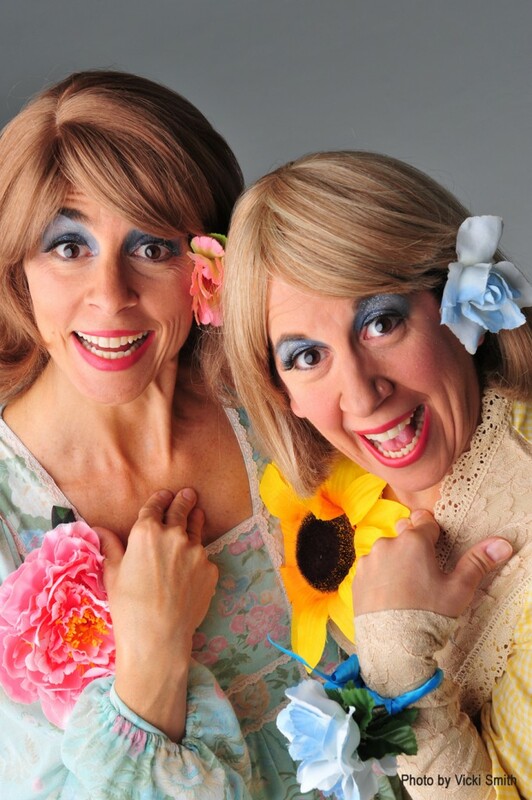 In addition, Lisa and Lori have made appearances as Vickie and Nickie in many variety and comedy shows in NYC including: Kim Smith’s Vauxhall Kabarett at Vlada, Sundays at Seven Comedy Night at the Irish Arts Center, Danny Leary’s Variety Extravaganza at Comix, The Talent Show Brand Variety Show at The Gershwin Hotel, Listen To This at The 92nd St. Y/Tribeca, Becky Donohue and Danny Leary’s The Cocktail Show at Don’t Tell Mama, and The Rocha Dance Theatre’s Glamour Bash at Galapagos in DUMBO.